Just the Beginning Gospel music has its fair share of mainstays and superstars, but only a fraction has been gifted with the higher calling of leading the saints in song. Even fewer have been commissioned with the task of breaking through denominational and ethnic backgrounds, while still maintaining an in-demand career that includes performing, composing, arranging, and producing for the biggest acts in the genre and beyond. Kurt Carr is one such minister. In light of Carr’s already extensive résumé in gospel music, JUST THE BEGINNING may sound like a non sequitur, but the artist truly believes he’s turning a page. “I feel it’s the beginning of many new horizons,” says the psalmist, who recently moved his quarters to Houston, Texas, after a 20-year tenure in Los Angeles. “God wants us to know that there’s so much more in store for us. People have seen great things, but they haven’t seen the greatest yet.” For those keeping tabs on Carr, it’s been almost four years since he turned heads with his chart-topping One Church project, but this time around the multiple Stellar recipient says he’s not looking to replicate the genre-bending eclecticism of that recording. In many ways, JUST THE BEGINNING is about him stripping things down and going back to the basics. “The last album was a thematic album; it was a stretch. We had bagpipes, accordion—sounds that have never been associated with gospel music,” Carr says. “These songs are very singer-friendly, very congregational. This time, I’m going back to my roots—church music.” (more) Kurt Carr/Just The Beginning/2 That’s good news for the church. A protégé of not one, but two gospel legends—he was mentored by both Richard Smallwood and James Cleveland—Carr has carved a niche of his own in Sunday-morning liturgies, blessing worshippers with his unmistakable knack for choir-friendly melodies and a cross-cultural appeal second to none. For proof, one needs not look further than Carr’s signature song, “In the Sanctuary”—also the centerpiece of his breakthrough, gold-selling recording Awesome Wonder—to realize his keen ear for the corporate. To this day, millions continue to sing the song across the globe every week, in no less than nine different languages. “After the success of that song, I knew that God had called my music ministry to reach people of all races and all people who have an open ear for God’s message,” says Carr. Through the years, this calling to reach anyone with ears to hear has led Carr to write an armload of instant classics and standards for the modern church, including the bona fide hits “I Almost Let Go;” “For Every Mountain;” “Kumbaya;” “God Great God;” and “God Blocked It,” as well as “The Presence of the Lord,” the song that put Byron Cage on the map. Kurt Carr has ministered in over 20 countries and was recently named honorary principal of a Gospel music school in Japan that boasts a “Kurt Carr” class of gospel music production! A renaissance man in every sense of the term, Carr has used the last few years to continue to write and produce for various heavy-hitters, develop his own music label, nurture new artists, and perform all over the world with his inimitable Kurt Carr Singers—Yvette Williams, Michelle Prather, Troy Bright, Timiney Figueroa-Caton, Nikita Clegg-Foxx, Nikki Potts, and Vonnie Lopez. In between travels, listeners and congregants alike have continued to reap the benefits of Carr’s prolificacy, as recent songs and albums by the renowned Tramaine Hawkins (her highly applauded ‘comeback’ CD “I Never Lost My Praise”) and Bishop Paul S. Morton (his seminal “I’m Still Standing”), with whom Carr teamed up in the aftermath of Katrina, have made waves in airplay charts and houses of worship throughout the nation. In fact, Morton says all the time that Kurt Carr “is a genius and has found a way to tailor make songs that completely express my heart;” and Hawkins has said the single “I Never Lost My Praise” was a song that she’d been waiting on for over 20 years- while critics compared it to her legendary classics “Changed” and “Going Up Yonder.” JUST THE BEGINNING is all set to further this tradition. “I have friends from all walks of life,” says Carr, “and my whole purpose is to be a light to them…that’s how I live my life and that’s what I am encouraging and reminding others on this song.” (more) Kurt Carr/Just The Beginning/3 Nikita Clegg-Fox leads on the soaring “Spiritual Makeover Extreme,” an ultra-contemporary uptempo track with a “never ending hook” proclaiming “I’m so glad I don’t look like what I’ve been through;” while the lively “Right Time, Right Place” delivers a foot-stomping frenzy like only Kurt Carr & The Kurt Carr singers can. For those who have relied on Carr to offer songs of encouragement, Just the Beginning is brimming with a thoughtful parade of ballads, like the faith-filled “I Believe God;” the reflective “Sanctuary (God Is a Healer),” which Carr says is a song for this hour; and the empowering title track, a tender motivational piece where the singers proclaim “you haven’t seen your best days yet” and push believers to name and claim with authority the totality of God’s unfailing promises. Williams began his musical career making records that have become R&B and Pop classics (e.g. “Cause I Love You” and “So Very Hard To Go”, which he recorded as the lead singer of Tower of Power). 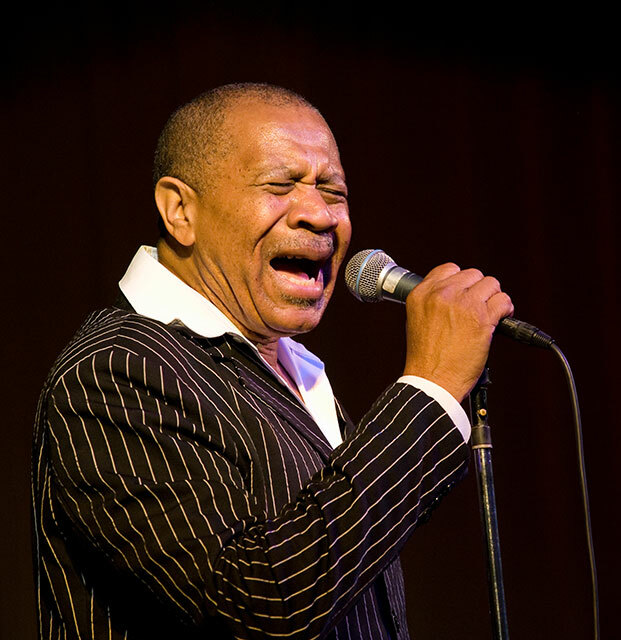 Lenny Williams’ style has transcended into the new millennium, influencing many of today’s most popular R&B and Hip Hop artists. Lenny sounds better than ever as he continues to keep the focus on love. “Love is what has gotten me through all of these years. I look for love and I surround myself with it”, Lenny says. When it comes to singing love songs, one must “go there to know there”. Williams is able to take the listener to the heart of love with such soulful simplicity; no one does it better. Though born in Little Rock, Arkansas, Lenny moved to Oakland at a very young age. Learning to play the trumpet in elementary school fueled his interest in music. Lenny’s skills as a vocalist were first nurtured by singing in gospel choirs and groups around the Bay Area, working alongside up and coming artist Sly Stone, Andre Crouch, Billy Preston and members of the Hawkins family – Edwin, Walter and Tramaine. After winning several local talent contests, Williams signed his first record deal with Fantasy Records. He recorded two singles for the label, including “Lisa’s Gone” [now regarded as an R&B classic among British soul music lovers] and “Feelin Blue”, written by John Fogerty of Credence Clearwater Revival. Lenny then spent a brief time with Atlantic Records before deciding to put his solo career on hold when he joined the emerging funk band Tower of Power in 1972. A string of hits ensued, including “So Very Hard To Go” and “Don’t Change Horses (In the Middle of the Stream)” [written by Lenny Williams and Johnny “Guitar” Watson]. During his two years with the group, Lenny not only toured the United State, Europe and Asia, but he also recorded three milestone albums with them – [the gold LP] Tower Of Power, Back To Oakland, and Urban Renewal. At the end of 1975, Lenny returned to his solo projects. Initially signing with Motown in 1972, he later moved to ABC Records in 1977 (which was then purchased by MCA Records in 1979). Over the next four years, Lenny scored ten charted hits, including “Shoo Doo Fu Fu Ooh”, “Choosing You”, “You Got Me Running”, “Love Hurt Me Love Healed Me” and “Midnight Girl”. Lenny recorded four more albums from 1977 – 1980, Choosing You (his first gold LP), Spark of Love, Love Current and Let’s Do It Today. These albums established a solid and loyal following for Lenny. The impact of his music can still be felt today, particularly the mega hit “Cause I Love You” [Spark of Love]. In 1986, Lenny was invited to sing vocals on “Don’t Make Me Wait For Love”, a song from superstar saxophonist Kenny G’s multi-platinum selling album Duo Tones. When released as a single in 1987, the song became a Top 20 Pop and R&B hit. Now Doctor Williams since receiving his honorary Doctorate of Fine Arts degree from California State University, Lenny has the right musical prescription to soothe real music lovers. “I’m going to continue to evolve and grow as I learn and experiment lyrically and musically. I’ve been doing this for a long time and I’ve been watching all of the changes going on in the music business. I have my own label now (Bridle Ridge Records). Let me do my thing”, Lenny says. Indeed, music lovers everywhere want him to do those things of which he’s the musical master. Like a flowering perennial, prolific soul man Lenny Williams is always prepared for the spotlight in which he belongs. Pastor Smokie Norful spent the early portion of his life in Muskogee and Tulsa, Oklahoma. He later moved to Pine Bluff, Arkansas, where he attended Jack Robey Junior High and Pine Bluff High School. He is a graduate of the University of Arkansas at Pine Bluff with a bachelor’s degree in history. He also received formal training in ministry at Garrett-Evangelical Theological Seminary in Evanston, Ill., and Trinity International Seminary in Deerfield, Ill., where he studied to achieve a master’s of divinity. He served as a history teacher for seven years at Jack Robey Junior High School, Pine Bluff High School (Pine Bluff, Ark.) and Evanston Township High School (Evanston, Ill.) respectively. Additionally Rev. Norful served for two years as the educational director for the Pine Bluff Housing Authority’s after-school program. Other notable vocational experiences include, but are not limited to, his service as a historian for the National Park Service and a congressional aid for the fourth congressional district. He currently serves on the board of Regents for Trinity International University. He was ordained an elder in the African Methodist Episcopal church and has been a licensed preacher since 1997. Rev. Norful served as youth pastor, minister of music, and associate minister of St. John AME church in Pine Bluff, under the leadership of Rev. W.R. Norful Sr., and Teresa Norful until relocating to Chicago. He also has served internationally as worship leader for the connectional youth department of the AME church. In addition, he has served as an educator and workshop conductor for the Christian Education department of the National Baptist Convention USA, Inc., and has been a well-sought clinician and keynote speaker for many organizations, ministries, and civic groups. He was recently inducted into the Arkansas Black Hall of Fame, along with many other notable people. 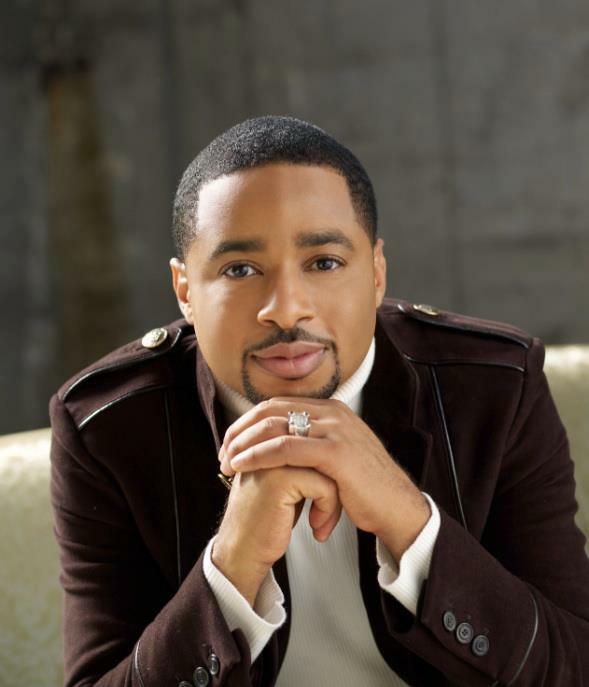 Currently he serves as pastor of the Victory Cathedral Worship Center in Bolingbrook, Ill. On September 20, 2005, Pastor Smokie Norful officially launched Victory Cathedral Worship Center in Bolingbrook, Ill. Since its launch, Pastor Norful and the Victory family have experienced an extraordinary and unprecedented growth in the community. 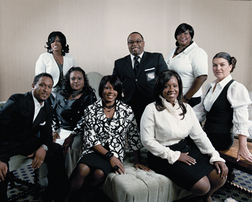 In addition, on September 28, 2008, Pastor Norful launched a second campus on the south side of Chicago. Since its launch, they have witnessed a similar dynamic growth and a phenomenal move of God. He is an internationally renowned musician, music composer, and recording artist. His debut compact discs entitled I Need You Now and Smokie Norful Limited Edition have garnered favorable accolades and awards across the world, including the 2005 Grammy Award for Contemporary Soul Gospel Album of the Year for his release entitled, Nothing Without You; three Stellar awards; four Dove awards; three Gospel Music Excellence Awards; an NAACP Image Award nomination; a Soul Train award nomination; two nominations for the BET award for gospel music; two RIAA certified Gold selling compact discs; and countless others. Pastor Norful has contributed as a writer to five platinum selling compilations, and has written for numerous major label gospel recordings. Billboard magazine named him the number one selling gospel music artist for 2003 and 2004. 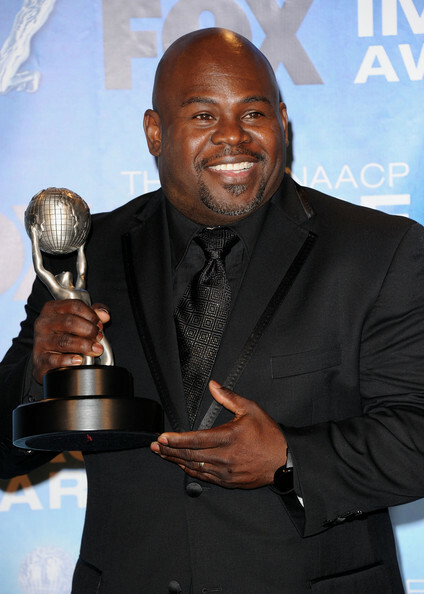 His notable performances include such events as the Trumpet Awards, Save Africa’s Children Event in Soweto, the BET Awards, the Stellar Awards, Soul Train, hosting and performing on the Dove Awards, the Parade of Stars, the Essence Music Festival, the New Orleans Jazz Festival and numerous other notable festivals, events, concert halls, and tours. He has also had the honor of performing for President George W. Bush in the White House in celebration of Black Music Month. Rev. Norful and his wife, Carla (former school teacher and social worker), own and operate four businesses in real estate, entertainment, and publishing. However, despite the demands as an artist, writer, entrepreneur, businessman, and pastor, what he cherishes most is cultivating a loving relationship with his wife, spending time nurturing their two sons, Tré and Ashton, and empowering his daughter, Ashley.